Putting your vision into effect. 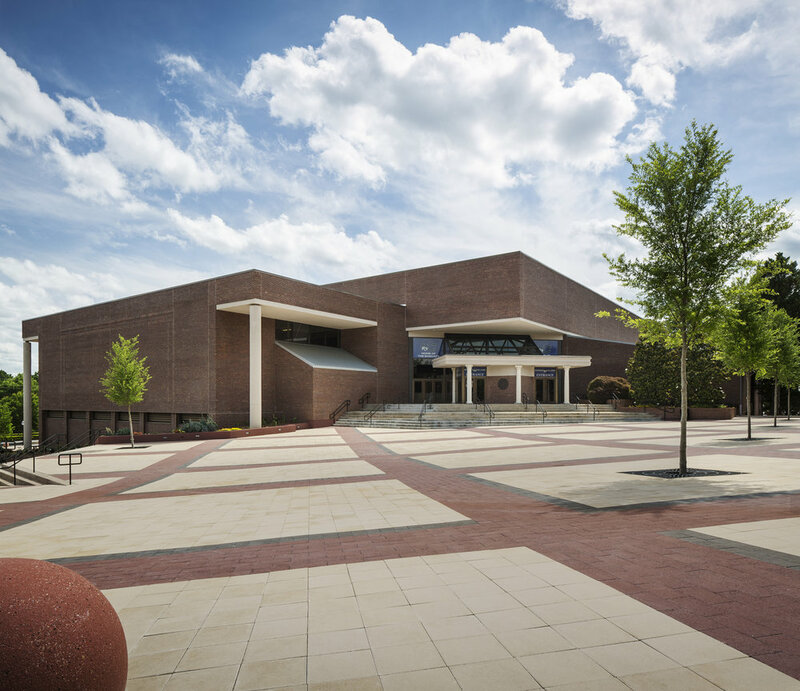 With an area of 97,000 square feet and an arena that holds over 4000 people the Centennial Center is one of the gems of the GCSU campus. 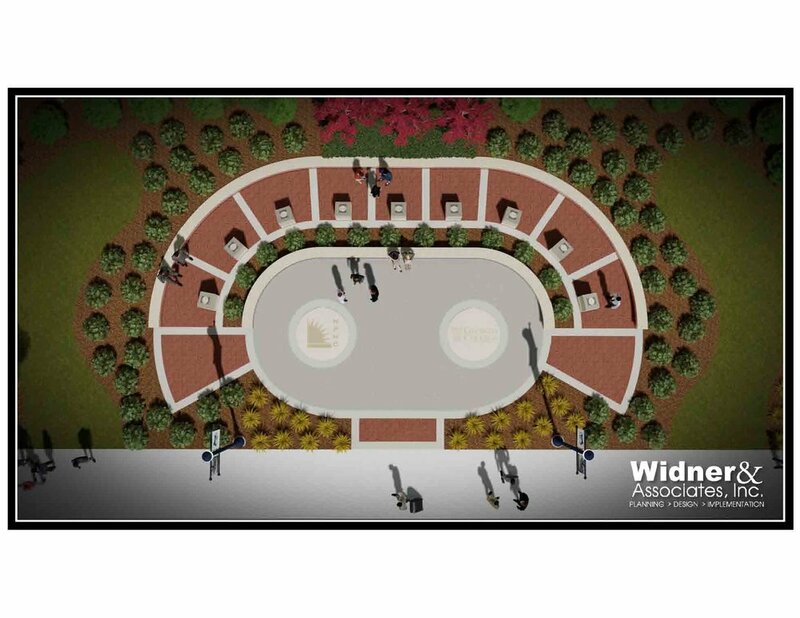 Widner & Associates was selected to update and redesign the Centennial Plaza, which included the Surveying, Master Planning, Civil Site Design, Landscape Plan, and Detail Designs. The 55,000 square foot site was finished with over 30,500 square feet of geometric pavers and accented with large spherical bollards. 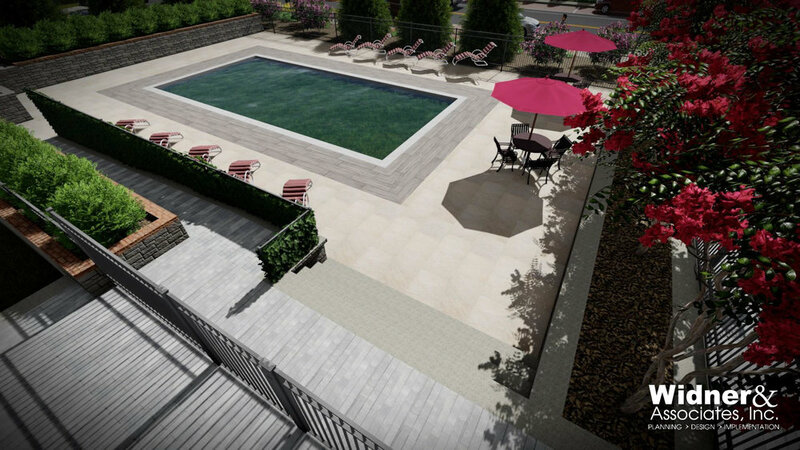 View our 3-D rendering of this project at our Vimeo page. 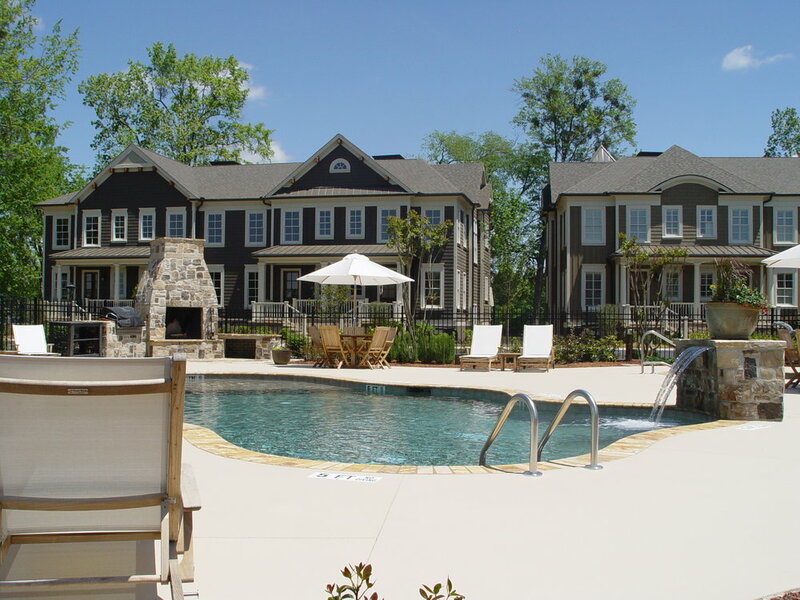 Waddesdon Subdivision is an upscale residential development located on Zebulon Road in North Macon. This community offers 36 wooded lots ranging in size from +/- 1.5 acres to +/- 4.8 acres. This development also features a 4.5 acre community lake. Waddesdon provides its owners with a feeling of being on a country farmstead, yet is located only minutes from many shopping venues and restaurants. 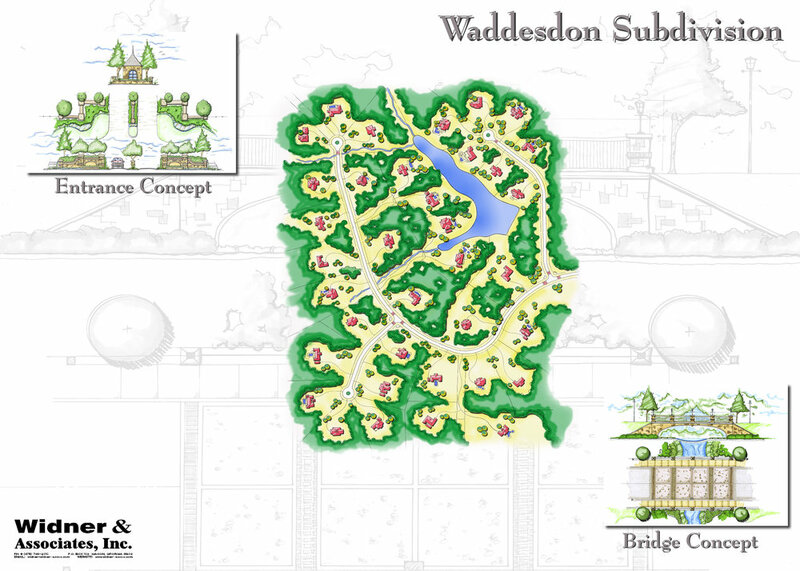 Widner & Associates provided Waddesdon with a variety of services ranging from initial master planning, site development drawings, detail designs, and permitting through various government agencies. The Empire Yard is located along 6th Street in downtown Macon. 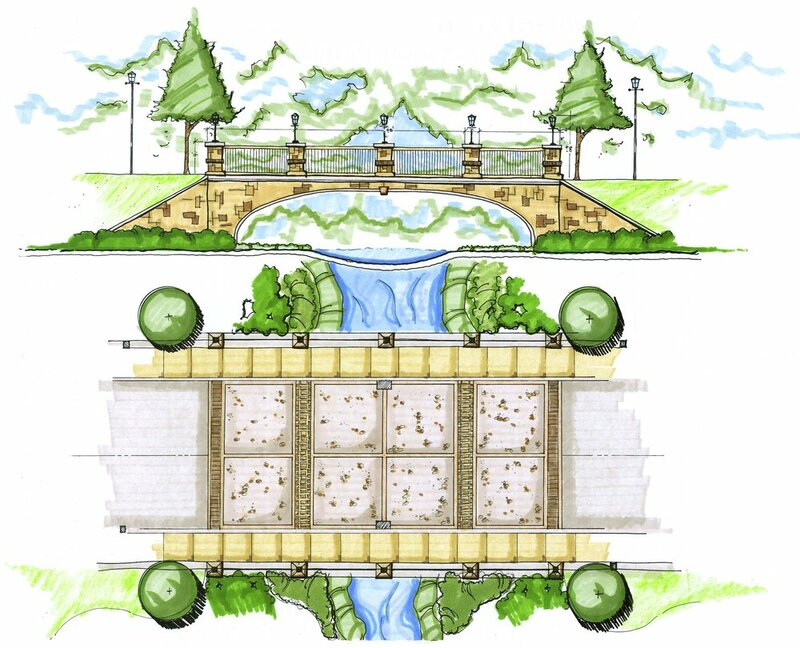 Widner & Associates was selected to provide Concept Designs, Land Surveying, Master Planning, Architectural Design, Site Development Planning, Landscape Design, Streetscape Re-Design, Right-of-Way Acquisitions, and Permitting for the 30 Lofts, Community Park, Shops, Commercial Space and Offices. The renovation included the reconfiguration of the existing industrial oriented layout to a plan that includes increased pedestrian circulation, landscaping and other amenities. 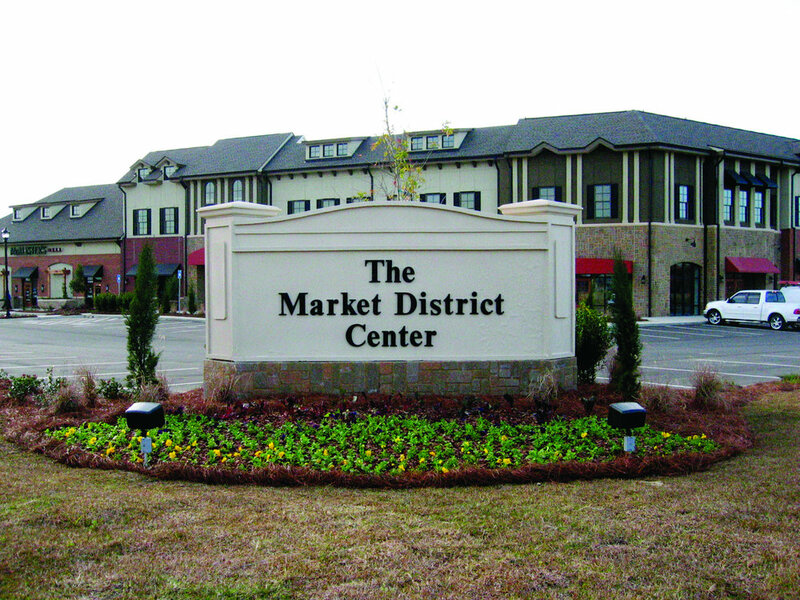 Widner & Associates was chosen to create the site plan, landscape plan, and architectural plans for the Market District Shopping Center in Statesboro, GA. The shopping center is settled on 4 acres of land and has 45,925 square feet of building space. It consists of both 1st story and 2nd story business spaces for lease. 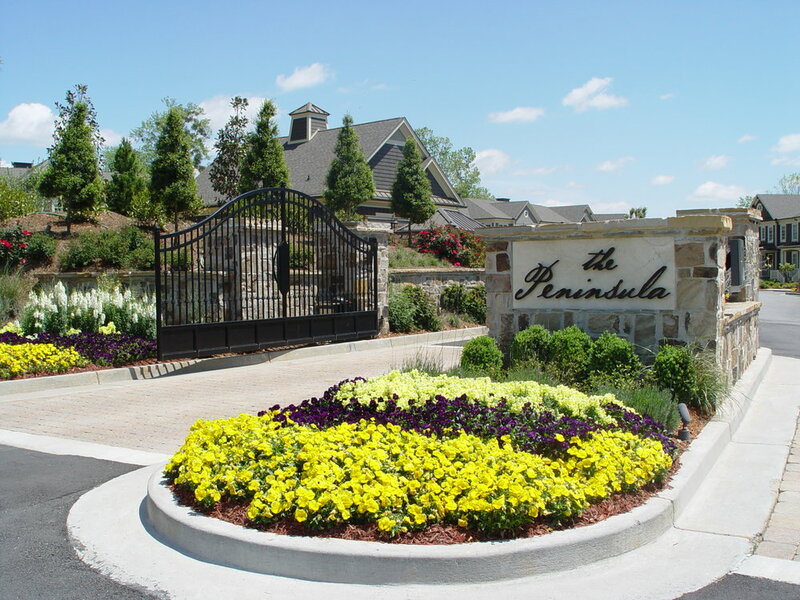 The Peninsula on Lake Oconee, located on beautiful Lake Oconee in Greensboro, Georgia, offers 36 upscale lakefront condominiums laid out on approximately 5 acres of land, and is surrounded on three sides by water. This community offers the best in amenities including a community pool and spa, individual boat slips for each unit, and natural walking trails that meander along the lake's edge and through the existing forested area on the site. Widner & Associates was selected to provide master planning services, site development plans, and permitting services for this unique community. 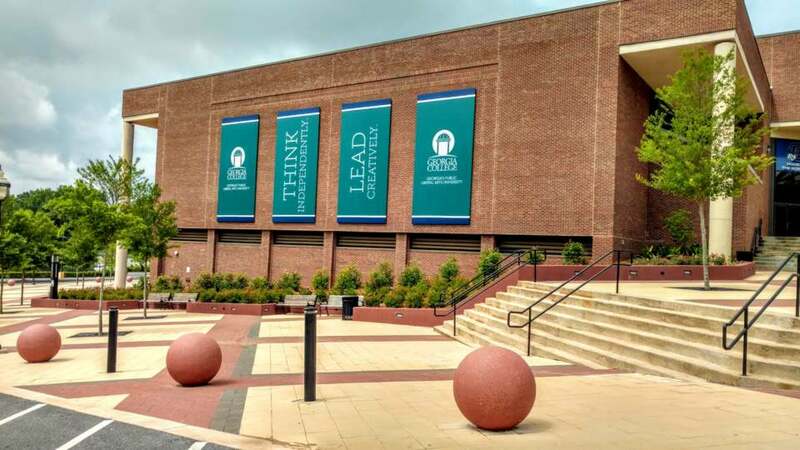 Widner & Associates was chosen to beautify the National Pan-Hellenic Council Plaza at the Georgia College & State University campus. 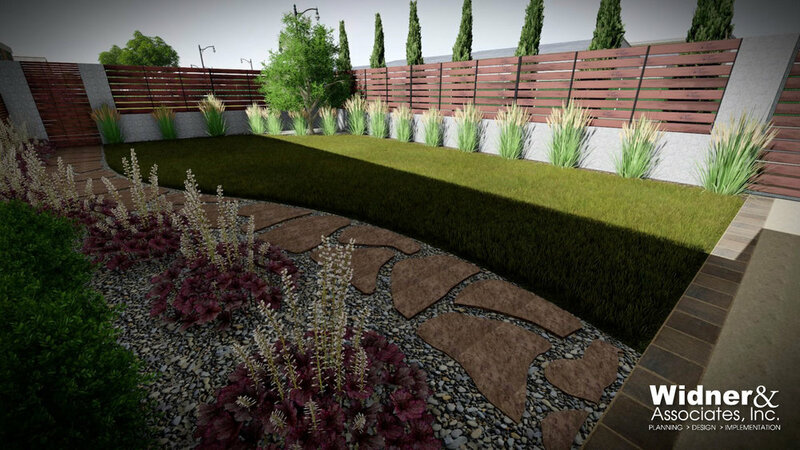 The biggest obstacle with this project was reworking the grading in a 66 square foot area. The site features southern flora classics including Southern Magnolias and Azaleas with two seals showcasing the logos of both the university and NPHC. Widner & Associates was selected to develop a site design for a cosmetic surgery center on Riverside Drive in Macon, GA. The site was challenging due to its geometry and size. We provided an attractive site plan for the 19,000 square foot building and covered parking for the physicians among other amenities. A new roadway was designed to improve the circulation to the adjacent buildings. The building now works well with the neighboring Physical Therapy center. Pilot Club International is a civic club founded in Macon, Georgia. Recently, Pilot Club International constructed its new headquarters in northwest Macon. 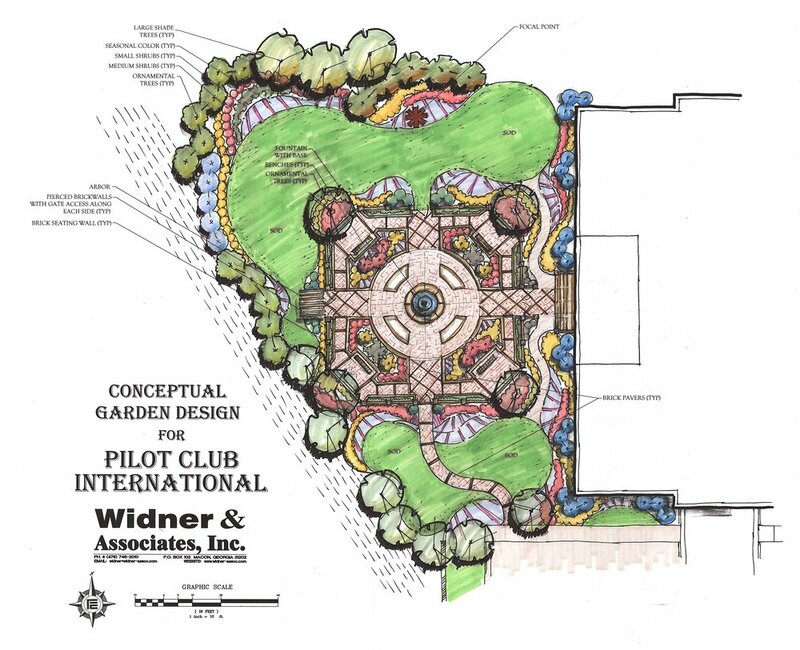 Pilot Club International selected Widner & Associates to develop the design for the site, including building location & founders garden. The headquarters building and garden host club members and guests from around the world. 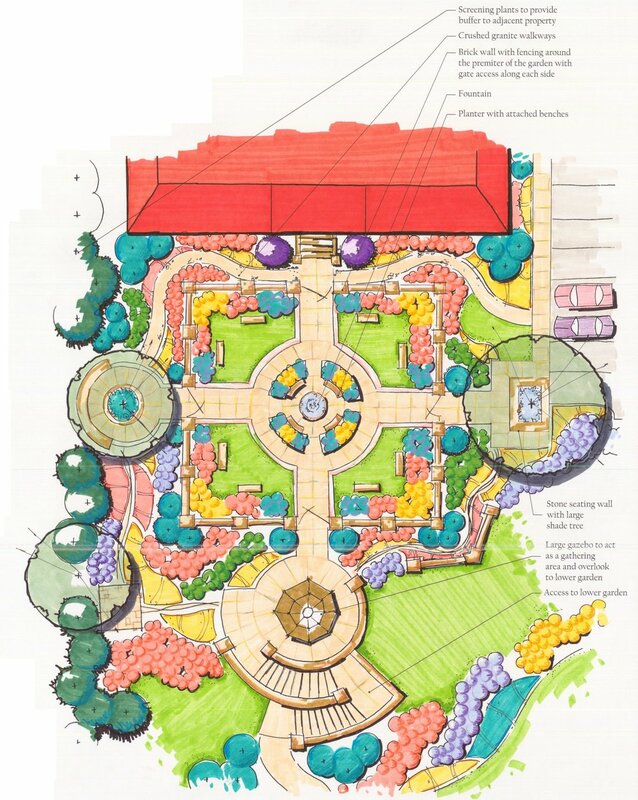 The founders garden features a southern style garden and includes pierced brick walls, a pink marble fountain, brick walkway, and southern style flowers, trees and shrubs. 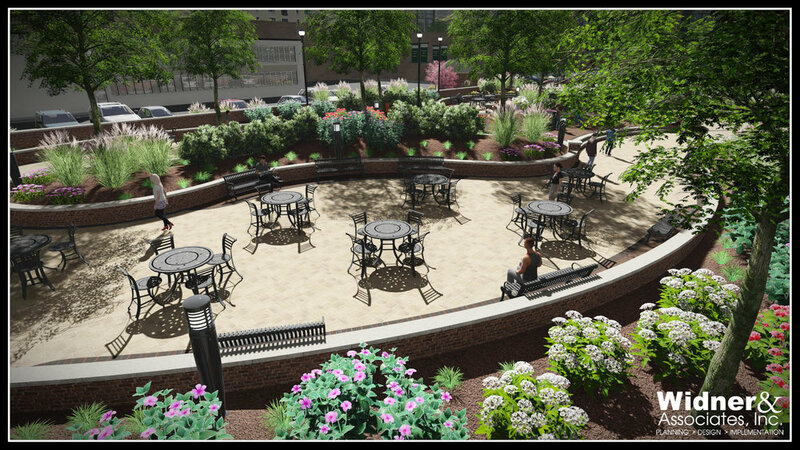 Situated on the corner of Mulberry Street and Broadway Cassidy Park is a beautification project for a 27,000 square foot vacant parcel in downtown, Macon. 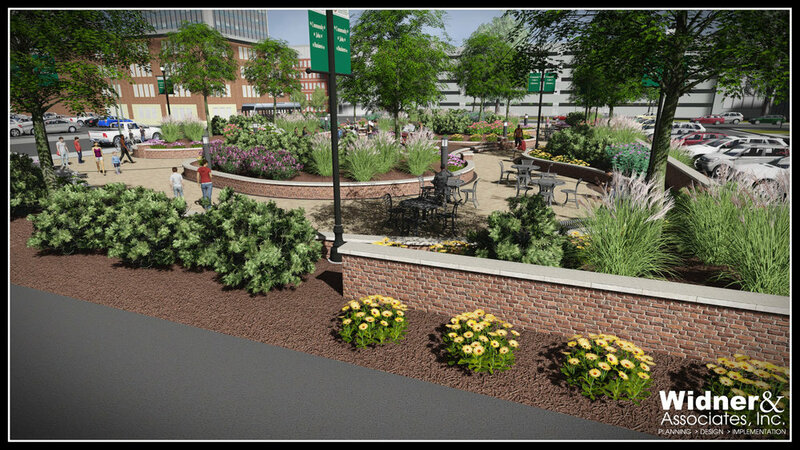 Winder & Associates was selected to provide land surveying, civil site development designs and landscape plans for the urban park project. 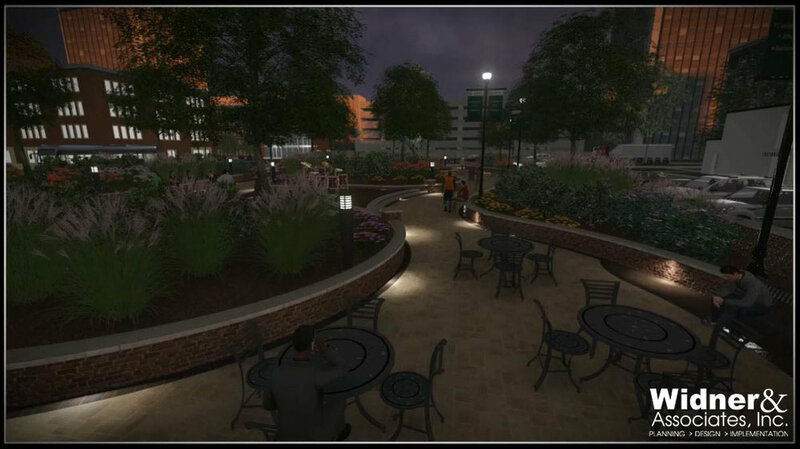 The project included an organic influenced layout and a mixture of brick and concrete pavers allowing the park to integrate seamlessly with the rest of downtown. 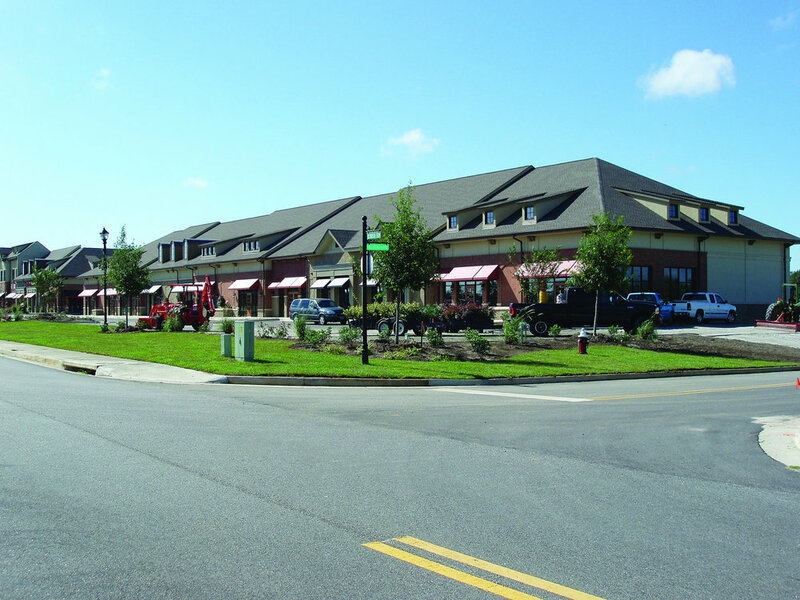 Widner & Associates provided design and planning in the development of the Village at Gray Shopping Center. Conceptual architectural elevations were developed using a Mediterranean theme complete with clay tile roof, stucco walls and a heavily landscaped site using palms to compliment the architecture. This architectural style was extremely well received; all spaces were entirely leased before the completion of the project. In today's retail/commercial marketplace, unique design is a requirement for a successful development. 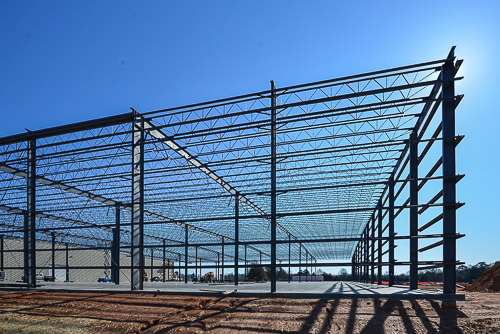 To improve production and efficiency the Kautex Textron Plant had Widner & Associates move forward with a new distribution, manufacturing, and shipping management office included in the facility expansion. 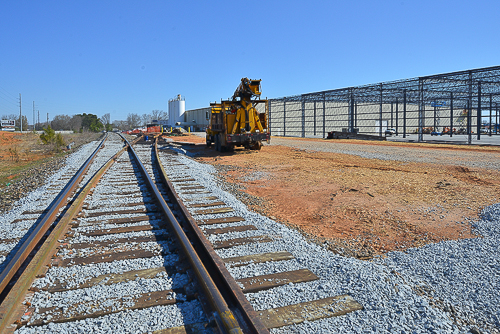 This 111,375 square foot expansion included a road realignment design for Lankford Road, a rail spur design for the Hartwell Railroad and designs for a 15 truck loading dock. Located in Highlands, North Carolina, nestled in the Appalachian Mountains, is the 4th Street Market. This multi-use development consisted of offices, residential, and convenience food store and fuel cells. Widner & Associates was selected to provide master planning services, site development plans, and architectural development plans for this mountain stop. Macon, Georgia's first public library was built in 1889. New Street Properties acquired the building in 2005 and began renovating in early 2006. 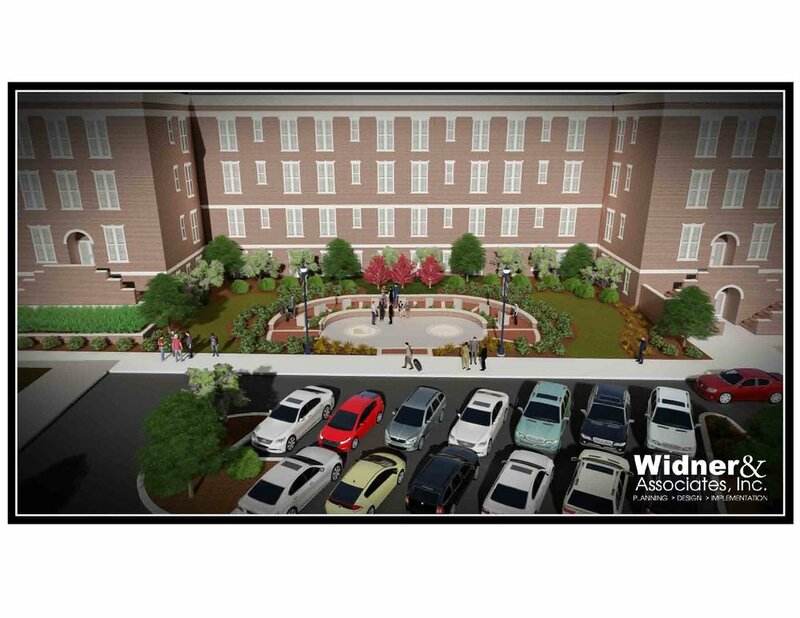 Widner & Associates provided site and architectural renovation designs, including the complete renovation of the interior of the building the building’s parking lot and surrounding landscaping. The renovation received the Historic Macon Foundation Partners in Progress Award. The second floor of the building is now used for special events such as weddings, receptions and business meetings. Widner & Associates was chosen to develop the site layout and civil design for a new medical office by the Georgia Heart Physicians. 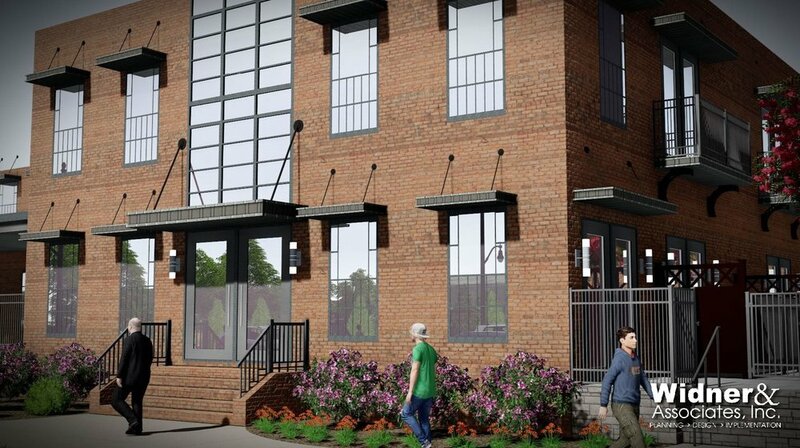 Located in downtown Macon, one charge of this project was to integrate the new development with the aesthetic of downtown. The site design derived by Widner & Associates assimilated the new 7500 square foot building seamlessly into the surrounding environment with ample parking and attractive landscaping.